Phil Bak: So they are conducting surveys. They do over 300,000 surveys a year and all the data is normalized by seven different factors. We have a patented econometric model that we use to eliminate outliers and various things. 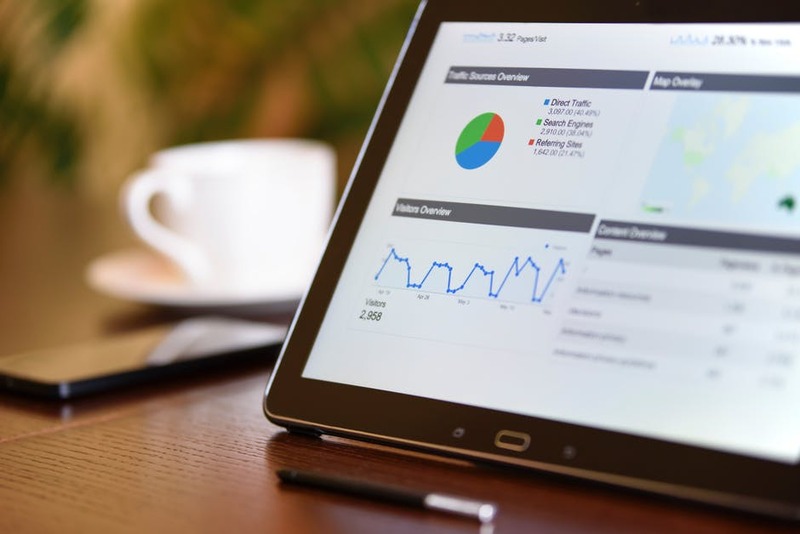 So it’s a very quantitative dataset, which is ironic because a lot of people view it as more of a quanl… It is measuring something more qualitative, but the data gathering process is very differentiated from the others in that space of market research because their approach is extremely quantitative. Then ultimately, we use that as a signal. All the data is published publicly and is published historically also from in sample returns on theacsi.org. And you can see, and historically it’s a tremendous driver of Alpha both in a hedge fund and just looking at the pure data. Phil Bak: So the fund launched in November of 2016, and we don’t use any company in the fund that we don’t have a statistically significant sample on. So for example, everyone wants to know what we think about Tesla. And I personally, I think Tesla’s a cool out. I know you know, reading a lot of the debate on it is very interesting. But in terms of the data and it’s purely rules based fund, so our own opinions have no bearing on the allocations. We can’t get normalized statistically significant sample in order to be able to test of Tesla owners because there just aren’t enough of them. So we’ve really good data on Ford and Honda and Toyota and all the others. But until we have that data set, we can’t use Tesla. So it’s an interesting product because there are certain areas where we have better data and worse and there are certain sectors that are more elastic to the data than others. Phil Bak: If you think about it, like if 20 people get food poisoning at Chipotle, in Massachusetts, you’re going to have a 15% reduction and people walking through the doors in Texas across the country the next day. Immediately, there’s high, high elasticity there. Whereas Wells Fargo could have another banking scandal and you’re not going to move your mortgage. You’re probably not gonna move your wealth management account the next day. It’s a much longer cycle. So because of that, we look at the data sector by sector in order to capture the different elasticities, all the allocations are relative to its own sector of all the different stocks. Tobias Carlisle: You’re taking the satisfaction surveys and then you’re mapping them to other product or a ticker. Phil Bak: Exactly. Yeah. So, we’re not measuring sentiment or satisfaction on stocks. We’re looking at the products and services and then we roll them up. So yum brands will have many scores and will have a proprietary model to estimate revenue contribution and to put that into the overall score. Because again, we’re not looking at sentiment and whether people are going to buy or sell the stock. We’re trying to understand, “Are there going to be repeat buyers? Does the company have pricing power? How is Apple able to charge three times the amount of some of the Chinese phone manufacturers in China, three times the amount for phones with identical specs?” That’s because they have the pricing power through the brand, through the customer satisfaction. Maybe it’s through the ecosystem that people are locked into, but those are the things that we can capture that we feel are not necessarily priced in. Encana is an independent oil and gas producer with key assets in the Permian, Eagle Ford, Montney, and Duvernay areas. At the end of 2017, the company reported net proven reserves of 790 million barrels of oil equivalent. Net production averaged 361 thousand barrels of oil equivalent per day in 2018, at a ratio of 43% oil and natural gas liquids and 57% natural gas. A quick look at the price chart below for Encana shows us that the stock is down 35% in the past twelve months. We currently have the stock trading on an Acquirer’s Multiple of 6.04 which means that it remains undervalued. Tobias Carlisle: You ready, mate? Mark Jones: I’m ready, yeah. Tobias Carlisle: All right. Let’s do it. Tobias Carlisle: Hi, I’m Tobias Carlisle and this is The Acquirer’s Podcast. My guest today is Mark Jones of Pragmatic Capital. 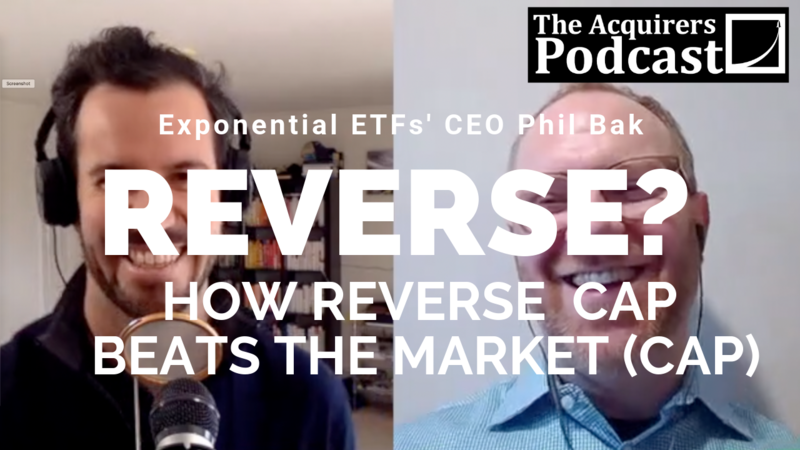 Mark and I met last year, have had a series of fascinating conversations because Mark has an unusual approach to picking stocks and it works. It’s made him the top-ranked analyst in SumZero on a last 12 months basis. We’re going to hear from him right after this. Speaker 3: Tobias Carlisle is the founder and principal of Acquirers Funds. For regulatory reasons, he will not discuss any of the Acquirers Funds on this podcast. All opinions expressed by podcast participants are solely their own and do not reflect the opinions of Acquirers Funds or affiliates. For more information, visit AcquirersFunds.com. Tobias Carlisle: Mark, welcome to the podcast. Mark Jones: It’s great to be here, Toby. Thanks for having me, I’m looking forward to a great conversation. Tobias Carlisle: You and I met, when we first met, you described yourself as a contrarian and I was, I got to say I was skeptical because I hear that a lot, everybody is a contrarian including me but as we talked, it became clear that you really are doing something unusual so can you just give us a little, a flavor of how you approach an investment? Mark Jones: Right, okay. Yeah, so I definitely know that everyone says they’re contrarian. 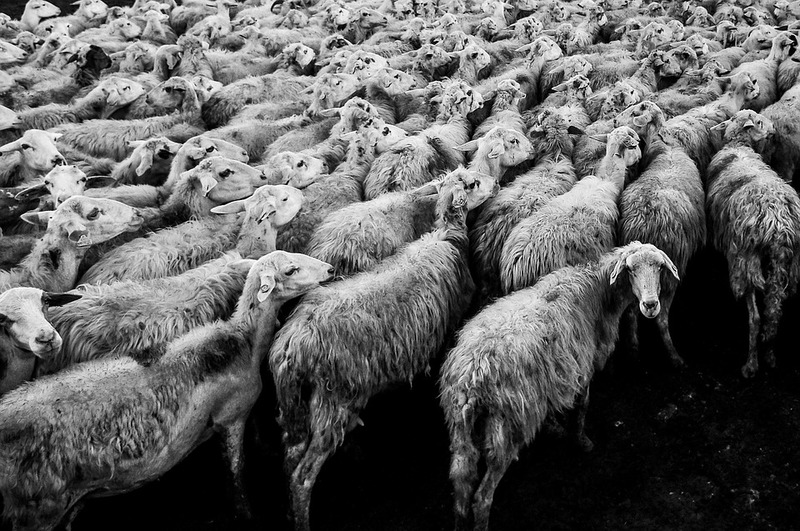 That’s kind of like the rule of thumb, that every investor should say, right, but I think that I am truly contrarian in that any investment that I’m looking at, I am directly going against the herd as measured or assessed by how the stock has behaved in the last 12 months or so. If the stock is going really well, I’m not going to go along that stock. If I’m in it then that means that I’m short and if the stock is doing terribly, they’re down 60-70%, well I’m going to go along. 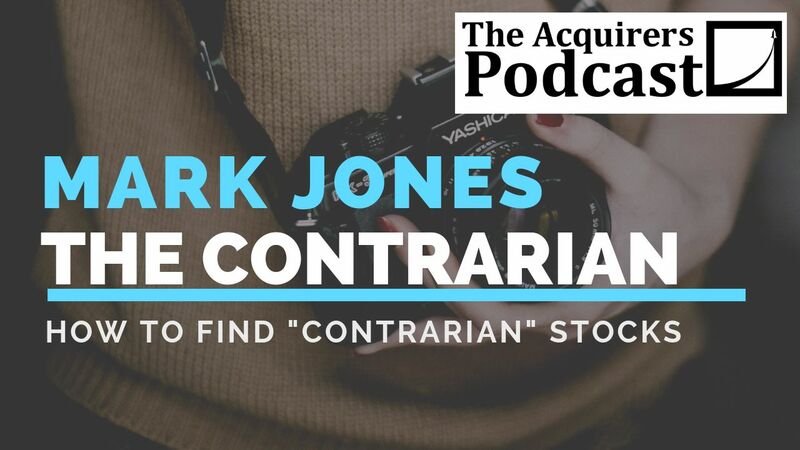 Mark Jones: That way, we can just clearly say, “Okay, well that’s contrarian because you’re objectively against the herd.” That’s how I like to invest because I believe that you get the biggest bang for your buck that way. Whereas if you’re putting in the deep research and you’re right about the company’s economic trajectory, well, you get the biggest reward once you’re proven right because if you’re going against the herd, then that means that the current price is a reflection of current expectations but if their expectations are completely wrong, well, then that means that the stock’s price is going to go in a completely opposite direction. Tobias Carlisle: You’re looking at a stock is down a lot, then how are you kind of making it the assessment that the market has it wrong? What’s your insight? Mark Jones: Right, so I have a four-step research process and this is I would see how I vet or I audit the market’s point of view. I find that there are a lot of situations where a stock will come up and the level one of my process, which is more screening, so I have an algorithm that basically does financial statement analysis that I will conduct myself and it returns indicators for all of the stocks in the universe that I’m looking at, that look attractive or just not attractive here. Mark Jones: If I get through level one and I’m looking at the financial statements and I’m looking at the headlines and I see, “No, I don’t see where the market is coming from here beyond just speculation,” then I move it through the process, two through four, and what that process is centered on is basically getting an understanding of that company’s, I call it the economic ecosystem to understand what’s really going on. Aside from the stock market, what’s happening on a fundamental, micro-economic level. You can get really deep there. That’s where you can get in the weeds and get lost but that whole process is to kind of come to a point of view on if the market is right or wrong. Tobias Carlisle: Why don’t you give us an example? We’ve discussed several of your positions. Give us an example of a stock and then walk us through the process. Mark Jones: Okay, so let’s see, what’s the most exciting? Tobias Carlisle: Weight Watchers was one we discussed. Tobias Carlisle: When did you find it? When are you sort of looking at it? Mark Jones: I found Weight Watchers around February 2017, so right before their Q4 earnings call. That’s where they were flagged in the algorithm and what really stood out about Weight Watchers was yes, for a certain period of time, they were just in a free fall. Revenue, earnings per share, was just falling at a constant rate of about 25% quarter after quarter. Mark Jones: Then all of a sudden, that shifted and the negative growth decelerated and then you saw on the last two quarters I believe, that it actually accelerated, and that growth accelerated and it wasn’t a lot but it was still, okay, there’s something here. These numbers don’t just come out of the blue, there’s some economic substance for why a company was in free fall and then things were turning around. Mark Jones: You couple that with the fact that the company had about a short interest that was about 80 or 85% free float. That really stands out to me and so with that, I said, “Okay, I’ve heard of Weight Watchers before.” I thought they had a broken business model from just my recollection of the company but again, I have to put my point of view aside and say, “Okay, well let’s go look at the data,” because I hadn’t looked at the data at the time. Once I started doing research, I saw that the company had completely changed their business model. They had aligned it more with the times, with what the consumers wanted, which was more of an integrated approach to weight management. Mark Jones: The content was stale. They had the same content, same approach from 10-15 years ago. Things are changing now. You have a lot more connected devices, you have a lot more technology. There’s a lot more motivational content in weight management activities, so basically, they realigned their got-to market strategy for the times, got Oprah front and center. A lot of people knew she was affiliated with the company but she started to be in the commercials talking about her experiences and how it’s not just about weight loss, it’s a lifestyle change and it’s about wholeness and wellness. That’s really key right now in the environment. Mark Jones: In doing the research and actually seeing Google trends, impressions on social media, and then looking at the actual underlying operational data of the subscriber growth, they also changed the business model to have more of a subscription-based model, which really helped and you look at the trends between operational data and financial data, and you do a lot of quantitative analysis, regressions and things like that to see what’s the relationship here? Because of the operational data is positive, well, that’s a great indication of future financial data. Mark Jones: Once I finished the research, I saw, “Hey listen, the company lost 70-80% of its value over a period of years,” one can say that was just or not just. The specific amount is not as important as the sentiment and I can understand that sentiment, but once I did the research and I say, “Listen, this is a new company and the market is just reluctant to accept that,” but the last step of the entire process is looking at what Wall Street’s numbers are, because a company that beats earnings estimates, that’s going to go well for them and sure enough, I found that estimates were very conservative if you will, and that’s what happened. Mark Jones: They beat estimates. That week, they went up about 50% and ever since then, they’ve been on [inaudible 00:09:02] of early this week but that’s you know. Tobias Carlisle: It’s had a big tumble. Does that sort of peak your interest again? Is it something that you want to go back and look at in some depth? Mark Jones: Well, you know, this was an interesting case study for me because it’s one thing to do all the research on the front end and say, “Listen, this stock is mis-priced, expectations are wrong. There’s going to be some correction.” Okay, well, what magnitude of correction? When are you going to walk away from this and say, “Okay, the story is over here,” because Weight Watchers ended up going up about 700% from the time that I got in and since then, it’s gone up a little more, gone down a little more and then last week, they had a major fall and I thought to myself, “Well, how would I have stayed in after the initial year,” because in the year I got in, it was up 700%. That’s great. Mark Jones: I think that it’s all based on sentiment and if you look at sentiment, it’s positive. Okay, well, that makes me kind of, because I’m not contrarian anymore, right, so it’s okay, but I can still ride this wave. If earnings estimates, it all comes down through earnings estimates. If you find that earnings estimates were conservative based on your financial forecast then go ahead but you find that the estimates are starting to be more aligned with yours, maybe the stock can still go up, maybe not but I’m not really into that game because it’s hard to predict that but definitely if you find that earnings estimates are starting to get ahead of the company like a pendulum, then I would get out. It’s really always going to be based on sentiment, and expectations. Tobias Carlisle: AMC, so AMC was one that I really kind of, for me, that was the thing that helped me understand what you were doing. Can you walk us through the AMC investment? Mark Jones: Right. That was really interesting because AMC stock went down about 60%. That seems to be the sweet number for companies that actually move forward. Not the 40%, 30% but 60-70, that means that this is a live one. Mark Jones: Right, exactly. I love to be on the other side of that so long as the data is there, right? When I look at AMC and I’ll be honest again, just as a consumer, my opinion of AMC is that hey listen, streaming is presenting an existential threat. Netflix is huge. Netflix is getting even bigger. Movies don’t seem to be that great these days, but this is all just consumer perspective, right? I didn’t do any real research, this was just as a consumer but I thought to myself, “Hey listen, based on the algorithm, there looks like there’s a divergence here. Put your own personal views aside and go and do the research,” just like I did for Weight Watchers and what I found was really interesting, something I did not know, is that of course AMC’s performance is, AMC is a derivative on the box office, right? Mark Jones: Yes, they have other lines of business but it’s related to attendance, right, like food and beverage. If you really want a handle on AMC’s operational trajectory, you have to have a handle on the box office. While you read the headlines, you read what the “experts” are saying, no one can predict the box office so on and so forth but actually, there’s an organization by the name of Box Office Mojo and they aggregate all the of the data from movies back to I think 1999, based on studio release date, all of that. Mark Jones: I love data analysis. I went to Carnegie Mellon and the focus at Carnegie Mellon is quantitative analysis, extracting meaning from numbers. I looked at that as a gold mine. What I found was that the box office was actually cyclical. The box office, you could see, if you chart it out, you could see two years up, one year down, two years up, one year down. Then you start to look at the earnings calls of Disney, which is the largest studio to see well, what are they saying? This is that economic ecosystem analysis. Mark Jones: I think it’s really important to get outside of the company you’re looking at and look at the companies that they’re interacting with because no company exists just in isolation, right? With that, you found that Disney was saying the same exact thing, that Disney actually planned for 2017 so I found AMC in 2018 so this is after the 2017 year, which was down. Disney actually expected 2017 to be down because they were planning for a blockbuster 2018 and ’19 and they have their own production schedule so on and so forth. Mark Jones: Once I actually looked at the underlying data for the studios, what the studios were expecting, how many movies came out? How many movies were franchise movies? What’s the average revenue for the franchise system? What’s the standard deviation of revenues because if their standard deviation is relatively small, then I can forecast future films based on historic franchise films and that’s what I did and I found that everyone was expecting the box office to be down about 2 or 3% in 2018. My forecast had the box office up about I think 8% or so, and the box office ended 2018 up about 9% I believe. Tobias Carlisle: Basically, you’re saying that when the big studios release their sort of marquee names, that’s the driver so it’s not really necessarily a secular kind of drift down in cinema attendance, it’s sort of driven more by what movies are coming out, what big movies are coming out, and that insight led you to get long AMC at just the right time. Mark Jones: Exactly, right. I think that if you just [inaudible 00:14:57] and look at the data and while you know streaming is big, they can coexist and you find that if the content is there, because there were some studios that didn’t do well, because their movies just were not good. Whereas most studios actually have a clear production schedule and they’re doing well. Mark Jones: Everyone thinks that, “Oh, well, you know cinema is going down because attendance is falling every year.” You find that, no, that’s not the case. When you have these blockbuster years, attendance increases and average ticket price increases and that helps everyone in the industry. That’s just another example of looking outside of the company at the ecosystem, which directly affects the company and that’s something that the market completely missed. Tobias Carlisle: What were the big marquee releases in 2018? Mark Jones: Actually, Disney is the largest and the most impactful studio of all. Of all the studios, I know the movie industry can seem like it’s really chaotic and there are [inaudible 00:15:56] studios, there are independent studios but about 90-plus percent of the box office revenues are derived from only seven studios. If you analyze those seven, you could get a good feel for where they’re at health-wise via acceleration or deceleration of growth and you find that Disney, their market share is about 20-plus percent of the over all box office. Mark Jones: There has not been one year where Disney had a down year and the market was up. There has not been one year where Disney had an up year and the market was down. Basically, if you really want a hand on where the box office is going, you should look at Disney. To answer your question, Disney had several major films in 2018. Black Panther was a huge breakout hit, over a billion in sales. Of course, the Avengers movie was a major hit. Then they had other franchises that really augmented that Marvel franchise system and that really made Disney’s revenue increase significantly in 2018, which directly helped the movie theaters. Tobias Carlisle: You don’t really describe yourself as a value investee. You sort of think about value as a component in what you’re doing but that’s why you’re a contrarian because you’re really looking for that wide divergence between a sort of trend in the stock price and the underlying trend in the fundamental to the company, plus some sort of insight into where it’s going to be in a future state. Mark Jones: Right. Yeah, so I actually get this a lot. I would say I’m more aligned with value investing principles than other flavors of investing. However, I do have clear divergence points with value investing. I’ll be careful what I say because I have a lot of friends who are value investors. I know you’re a value investor, right? Mark Jones: I’ll be careful with that. I know that Warren Buffet is a value guy. I understand that, but I believe that our purpose as investors is to generate the highest returns and if we look at, “Okay, well, how do we generate the highest returns?” We have to look at, well, what drives stock price movement like Stanley Druckenmiller focuses on? What drives stock price movement, would be expectations, performance relative to expectations, which that’s obvious but also, I’ve done quantitative analysis studies that have proven that the companies that significantly outperform and the companies that significantly underperform, they had a major divergence between expected performance and actual performance. Mark Jones: What I find is that places us, and of course, when we talk about performance, we’re talking about fundamentals. That’s value, right? You’re looking at the actual fundamentals of the company. However, I think that the other side of the equation, expectations, looking at what does the market expect and taking both of those into consideration when you invest, that to me is the holy grail of investing and that to me, is called contrarian. Tobias Carlisle: Basically, it is sort of value-related but maybe using the, you’re kind of trying to use the turn in the fortunes of the company as your catalyst, like that’s the time that you want to put the investment on. Mark Jones: Right, or even situations where there have been companies such as Pure Storage, which was one of my first picks actually that the company was doing really well. A tech company, they provide flash storage to enterprises, who are now transitioning from magnetic disks, floppy disk, you know, would you believe that most data that companies have are stored on a hard drive, magnetic disk? Tobias Carlisle: I would not believe that. Mark Jones: Right, exactly and that’s only because it was so expensive. It was so easy for us to get these flash drives because the unit cost on a consumer level went down a lot but for corporations, it did not. Well, Pure Storage is a start up, they’re not a start up anymore, they were a start up a few years ago that developed the flash technology for the enterprise level. They were a true disrupter. When they had their IPO in the fall of 2015, stock did well and then it did horribly. Mark Jones: I found them in about March of 2016 I believe because revenue was growing immensely. Profitability was improving significantly so EPS was improving significantly. I found that that was contrarian even through the company wasn’t having poor fortunes, it was just that the market had some view that was a divergence from what I believe the underlying economic story was, which proved to be true. Tobias Carlisle: You do deep research on a company by company but a lot of this, your method is based on some other research that you’ve done more broadly. You went to Carnegie Mellon, what did you study there? Mark Jones: Right. I did an MBA at Carnegie Mellon. Tobias Carlisle: You did an MBA, and you did this research at Carnegie Mellon? Mark Jones: Right, so prior to Carnegie Mellon, I was in accounting so I studied accounting undergrad and grad, CPA, all of that. That has helped tremendously in ways that I probably can’t fully appreciate because when I see financially statements, I speak that language, right? That’s the only training that I had academically. When I went to business school, I wanted to augment that accounting perspective with a quantitative analysis skillset and also, economic analysis. Mark Jones: While I was at Carnegie Mellon, I really wanted to join a hedge fund and I thought, “Hey, if you want to join a hedge fund, you have to have to be a great stock picker. 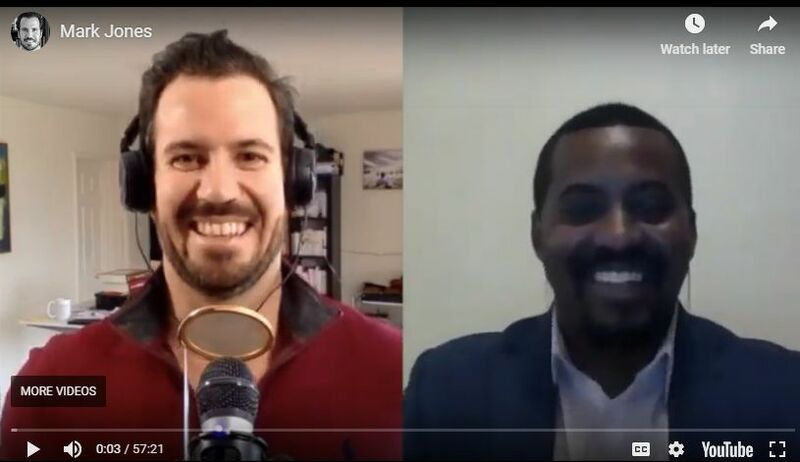 You have to have your own value proposition.” With that, while I was spending an hour in class on school work, I was spending an hour stock picking and researching stocks to practice and get my skills up. Mark Jones: I eventually got to a point where I said, “Well, is there some type of pattern between the stocks that do really well, and the stocks that do really horribly?” Because up to that point, it all seemed random and you on CNBC and there are a lot of people talking but there’s really no circling back to see, “Hey, were you right, were you wrong?” There was no post-mortem analysis. Hindsight is 20/20 but who’s looking back? Mark Jones: While I was developing this skill set at Carnegie Mellon to do quantitative analysis, run regressions, gather large quantities of data, and extracting meaning, I said, “You know what? Why don’t I create a project for myself?” I went to the Bloomberg Terminal and I ran a query for a stock screener. Basically, it consisted of each year for a 15-year period. What I did was I gathered all of the stocks that had a market cap in between, above 500 million, anything below that, I just thought that they were too, there wasn’t a lot of liquidity there so there could be other factors there. At the time, this was my thinking. Mark Jones: I left out commodities, biotech, bio-pharma, these really niche industries. What I did was I looked at okay, what was the, I wanted to see how did the company perform as far as revenue growth, profitability growth, and then what were the expectations for these companies? Then I would have a call on for the stock price return. Mark Jones: Basically, I had all of the data points I wanted to observe. There were about 40 of them and there are thousands of companies obviously in the market each year, so I ran this regression for each individual year to see is there a pattern between the top 5 percentile and the bottom 5 percentile. What I found with a high degree of statistical certainty was that companies that did really well, they had performance that significantly deviated from expectations, coupled with their stock performance prior to that deviation was the opposite. Mark Jones: If a company had a positive deviation the stock was negative going into, well that was very likely in predicting that the stock would do really well, and vice versa for the shorts. After I found that, I never have deviated from that approach of okay, well that’s contrarian. I looked at that and said, “Okay, well you’re going against the herd.” If you look at it logically, it makes complete sense. If you’re going along with a company everyone is short and you were right, it’s going to pay off big and vice versa but you need to be right. That’s the big thing, right, and that’s where the deep research comes in. Tobias Carlisle: It makes a lot of sense. When you say expectations, what is that? What is the data line or what are you looking at when you’re saying expectations? Mark Jones: I quantify expectations using Wall Street’s estimates and of course, that’s nor the qualitative expectation. The more, if you want a number for expectations, I really look at the stock price. If the stock price is going down significantly, that means that there’s negative sentiment, right, and vice versa for positive. 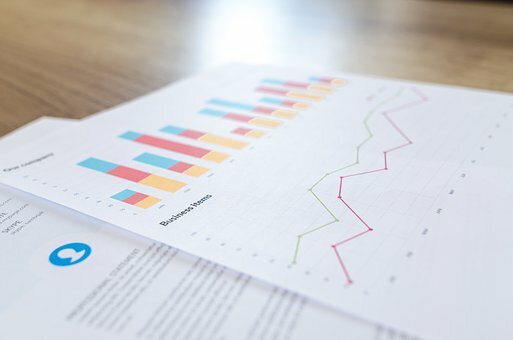 However, what this quantitative analysis had it shown and what logic would show is that even though investors may not be following Wall Street’s recommendations to buy or sell a company well, if this company beats Wall Street’s estimates or misses Wall Street’s estimates, the stock price moves. Mark Jones: That shows that investors do care about those baseline numbers that Wall Street has so I quantify the consensus view as Wall Street’s estimates, and sometimes you have companies that beat estimates and the stock doesn’t go up or it actually goes down but that’s more of an anomaly than a principle. Tobias Carlisle: You said, before you were talking about Druckenmiller but Druckenmiller is not your guy, David Tepper is. Mark Jones: Right. I’m probably biased, right, because I went to the Tepper School of Business. I had the fortunate opportunity to meet David Tepper, to interview with his firm for an internship. I received very positive feedback from people at his firm, from him directly, just telling me that the stock I pitched, everyone liked it and they really appreciated my logic there and actually that they had selected me for the internship but they had canceled the program so that didn’t work but that was enough to me, for me to see that I had something that was unique and that was different. Mark Jones: Interestingly enough, the stock I pitched was a contrarian stock, it was a short on GameStop and that was a first flavor of contrarian. Once I saw, it just makes sense to me being contrarian but do your research. Do your research and be right because if you’re right, then the reward is big and also, if you’re contrarian, you can just bet that there aren’t a lot of people who see the world the way you see it, which helps you in the event that you’re right. Mark Jones: Yes, David Tepper is my man. He’s contrarian. Any time that he makes a move, in the earlier years it was directly contrarian, it was explicitly contrarian where it was the market thought things were going to go one way, he thought the opposite. Now, his firm is so large that I would say he’s contrarian in that the market may have a positive view on a company but his view is more positive or vice versa so I would say it had to augment because of the size of his firm. Tobias Carlisle: GameStop is a really interesting name because it’s one of those ones that it screened really cheaply for years, and years, and years and it’s had this terrifying downward run the entire way through and nobody looks at the stock and thinks, “Well, that’s a really good long, other than the fact that it’s kind of quantitatively cheap.” I mean a short is an interesting position to put on, so walk us through the GameStop short. Mark Jones: Right, so the GameStop short was rally interesting in that and again, I was in business school during this time so I’m still learning as I go and I’m still learning as I go, right? There is so much more to learn. However, with GameStop again, I’m coming from the background of accounting so I’m looking at, “Okay, what are the numbers?” I know that these numbers tell a story. I’m really interested in a company’s story. Every company has a story. Mark Jones: I found that GameStop was a situation in which I saw that I thought differently because people who are more oriented towards finance looked at financial metrics and things like that but I’m not a finance guy. I’m passionate about economics, micro economics. With GameStop, what I did was I focused on, well, what’s the underlying micro economic story, because if I can get a handle on that and see what’s the growth trajectory of this company, well eventually, that will bleed into the stock. Mark Jones: Finance is all based on how do you value a business based on certain assumptions. Well, I focus on those assumptions, right? If your assumptions are wrong, it doesn’t matter if you have a perfect DCF, your assumptions are wrong. Garbage in, garbage out, right? Mark Jones: What I found was that of course, anyone can look and see, “Okay, GameStop’s business model was facing an existential threat in that game manufacturers and the studios were starting to develop digital downloads for the hardware.” I don’t know if people know this or don’t, but while GameStop most of their revenue comes from new games, 50% of their profits came from the selling of used games because if anyone has had a game before, you buy the game for $50, you go trade it in when you’re done with it and they give you $10 for it but then they go and they sell it for $20-25. The mark up is huge. Mark Jones: That’s a great business model. Great job GameStop, right? However, if people are starting to download the games digitally, well in T0, which is right now, instead of buying a physical game, you buy the digital game. Well, on T1 when you would normally go back in and trade it in and GameStop would have that inventory for used game sales, well they don’t have that anymore because you can’t go and trade in a digital game. Mark Jones: While that was the short thesis for years, the problem with the shorts before I found GameStop was that they didn’t have a handle on the catalyst, when, when is this going to happen? When is this going to happen really to me means, when is this going to start to show up in the financial statements? Again, you do the deep research and you see the data that is being provided not by GameStop because they were being very secretive, okay, let’s say conservative with information on digital downloads and things like that. That’s a red flag to me. 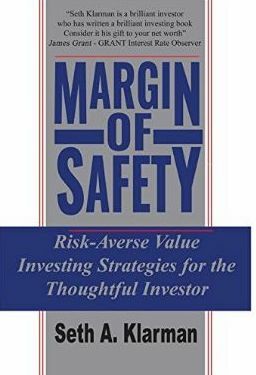 Mark Jones: One book that I read called “The Art of the Short Sale”, the best investing book I’ve ever read, of course I have “Margin of Safety” and it’s a great book but I like “The Art of a Short Sale”. It talks about when you found that management isn’t being as open, you know? If there’s great news, companies are going to shout it from the rooftop but if they’re being more conservative, there’s something there. Mark Jones: With that, okay, that’s fine. The company doesn’t have to give me this information. I can go other places to get this information because a company doesn’t exist in isolation. There are other businesses out here. Once you go to the earnings calls of the manufacturers and you see what they’re saying and you go to the industry experts, you start to interview people who are involved in the industry, you could see that the suppliers of the games were really making a move to get GameStop out of the supply chain. Mark Jones: Well, now that the tables have turned, these suppliers, they were in no hurry to negotiate with GameStop because GameStop was just a retailer. When you’re getting into a digital space, well the physical retailer doesn’t have as much value. That’s what I saw was the issue with GameStop as far as the timing, the rate of digital downloads was increasing significantly primarily for two reasons, one, technology. As technology advanced, bandwidth levels increased, you could start to actually download games onto your console. The memory increased in the console, the technology enabled the transition. Before, the technology just wasn’t there to download these huge games. Mark Jones: Additionally, the suppliers with that technology now being enabled, they started to incentivize customers to download digitally. They would give 20% discounts if you downloaded digitally. They would pre-release if you downloaded digitally. Gamers love games so if they can get it a week before, a day before, that’s a big thing for them so those two forces really caused the rate of digital downloads to increase and since that has an inverse relationship with the rate of physical purchases, it started to hurt GameStop. Mark Jones: While it took about a year for that to fully show up because again, T0 you don’t really see an impact because while the top line has had ones there, you’re really going to see the impact on the bottom line and sure enough after a year of this transition, GameStop’s stock just started to descend materially and last I checked, it’s still doing that. They actually tried to reposition the company and when you see these types of shenanigans that you know something’s up, and they start to say that they were not a video gaming company, they were a refurbisher of consumer electronics. They started this business to buy used phones and tablets and things like that and refurbish them in their center in Dallas that they did for the games and sell them. Mark Jones: That’s not their bread and butter, that’s not their core [inaudible 00:33:59]. They made billions selling video games. They were not going to replace the lost billions that were going to come with selling used cell phones and sure enough, last time I checked, they ditched that business and it’s just in free fall. It gets to the point where you can’t pay enough in dividends to make investors overlook just a deteriorating business. Tobias Carlisle: You’re doing enormous amounts of research for each of these positions that you put on. How do you think about sizing positions when you first put them on? How do you think about managing a portfolio? 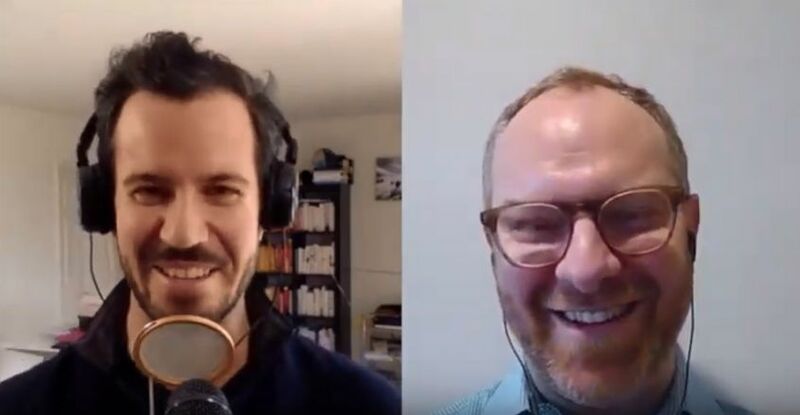 Mark Jones: Right, so the way that I approach portfolio management, which includes sizing correlation and things like that is that I believe in having a concentrated portfolio of about 12 to 15 holdings. I believe that and just even based on just statistical principles. Once you have about 15 unique observations if you will, you’ve got most of the benefits of diversification. Once again, it’s a 20, 25, 30, 35, 50, there’s something more there. You’re starting to diversify your time and you only have so much time. Mark Jones: What I find is that, and I have views on that approach of having 50 positions in your portfolio, I believe that 12 to 15 is enough so long as these stocks are truly uncorrelated with each other and given that I focus on idiosyncratic situations that by definition means that they’re not correlated with each other because AMC is trading based on what’s happening in the box office. Pure Storage is trading on what’s happening in the flash storage industry. Weight Watchers is weight management so Pandora is streaming, so these are all completely different stories. Mark Jones: These stocks weren’t related when they had their major sell offs or like Overstock had a major ride up and so with that at that point, we can already see that these stocks have broken out of the orbit of being related to the overall market because while the market is up 20%, these stocks are down 60-65% so that’s how I approach. Mark Jones: As far as position sizing, I believe in equal waiting. If I find that I have more, if I want to go overweight a certain position and underweight a certain position, to me that means that I probably have more conviction in one and less conviction in the other and if that’s the case, then I need to revisit what I’m doing because I believe in kind of the six sigma approach of quality, quality, quality. Mark Jones: Like Warren Buffet said, “You stay in your area of core competency and you focus on the balls that you can hit.” You don’t have to swing at all of the pitches that are being thrown. If I have a basket of 12 to 15, I want all of these to be my high conviction plays, if I have a portfolio of 50, these five are my high conviction, well then it’s like what are those other ones? That’s the way I approach it. Tobias Carlisle: If you have a position like Weight Watchers, which is up enormously as you hold it, do you trim it back or do you hold it until you sort of decide to get out? How do you manage them? Mark Jones: I do like to use derivatives to augment trades. Ahead of an earnings call, I definitely believe that it’s prudent to purchase some calls [inaudible 00:37:21] because again, these are contrarian stocks so one thing you’re going to get from contrarian stocks is volatility and especially if you believe that there’s material price movement coming in the future. You definitely kind of want to augment that trade with some options on the upside and the downside. With that, I view that as kind of accelerating. Mark Jones: That’s not something that is a constant in the portfolio, so I definitely I guess just trade around a position depending on what’s going on with the actual stock but when we start out at T0, everything is equal weighted and then as time goes on, if I find that I’m going to start to pair down the size of position, then that means that my conviction of the price improvement from now until next year, I don’t have as much conviction in that and I need to revisit the entire trade because I don’t believe that again, the purpose of an investor is to generate the most significant returns that you can for yourself and your investors. Mark Jones: You can have a stock that like Weight Watchers, it goes up 700%, I wouldn’t hold after that because it’s not after you have your returns, it’s always about what’s the marginal benefit of holding this? It’s not about how much have you made on it in the last year, that’s great but that’s done. As you invest, you’re investing for the future so there’s always another contrarian stock out there. Mark Jones: I look at them like waves. If you find that this wave is starting to crest, well, get off and go find another wave with that money and that’s how you really get that compounding effect. Tobias Carlisle: Do you have like an average holding period? Are they too different to have that determination? Mark Jones: Yeah, so I have an investment horizon of 12 to 18 months. Sometimes it plays out much sooner than I expected but and when I say plays out okay, well you have the catalyst and there’s a shock to the stock. Then it starts to trend upwards. That’s what I love but if you have a situation where there’s a catalyst, it goes up materially, it trends upwards but then you find that on a technical basis, the stock is kind of waned and it’s not trending upward anymore, it’s just kind of staying where it’s at, then you look at what are the estimates from Wall Street? If the estimates look reasonable, well, it’s over. Get off and move on. Mark Jones: However, if you find that it’s trending positively and that marginal gain is still there to be had and estimates continue to look conservative, then the underlying merits of the position are the same as they were before the stock had gone up. That’s how I look at when specifically am I going to get out but I want to give it 12 to 18 months to correct itself and take on a life of its own. Also, when you’re contrarian, you can have a stock that’s up 70% and if there’s anything that is less than stellar or something that kind of echoes an unsubstantiated fear, you can have a sell off. Primarily, because people are looking to lock in some gains that they had. Mark Jones: For instance, iRobot it a great one. Even though the story was solid and it remains solid through the story I’m about to tell you, what happened with the stock was it went up about 70% and proved all of the critics wrong and then they had a Q3 earnings call, they did wonderfully. However, they source some of their manufacturing from China and this was when the initial talks of tariffs were happening and the stock had lost about 20% just based on them saying that there would be a 5% hit from tariffs, even though the company had beat and raised their guidance to be significantly above what the [inaudible 00:41:09] was expecting. Mark Jones: I thought, “Okay, well one, the stock was up a lot in a small period of time.” I’m always leery about that because easy come easy go, right? There’s not much support for those price levels. I really appreciate technicals. I’m not a technical guy but you can extract meaning from the technicals so once the stock had taken that laws, it trended downward. Mark Jones: Then going into the Q4 call, it lost all of the gains. It stayed that way until we’re getting towards the most recent call in January and from December to January, it improved about 40% and then the call in January went exceptionally well and now the stock is up a total of 90%. That’s a really volatile story where it’s up 70, even, and now it’s up 90 but overall, the underlying economic story has been the same. When you’re contrarian, expect volatility so you have to give it time to, you have to give the market time to accept that it was wrong. Tobias Carlisle: Earlier you were talking about when you put a position on, you have core equity holding and then you have some puts and calls around these. Can you just talk a little bit about how you structure the positions when you put them on? Mark Jones: They’re more short-term in nature and typically, I’m looking at, it’s all based on expectations so I have models and things like that where I model okay, under these scenarios if the price moves this much, here are all of the option chains. How much are they going to move based on this assumption in a price movement. Mark Jones: I’m really familiar with the Greeks and things like that so I typically on average, I’m going to get something that’s about 5 to 10% out of the money both ways so that I can have that momentum on both sides depending on what happens. Then after the call, once kind of like that wave hits and things fizzle out, you sell the positions and then you reevaluate. Mark Jones: I’m typically not in call options for the long-term. If I have an option that is kind of more longer term, it’s going to be a put option as a form of insurance primarily to lock in gains that I have, and while I’m in the early stages of the fund that I’m launching, I’m likely going to have some puts there just as an additional margin of safety while the firm is starting to accumulating profits so we could start playing with the house’s money. Tobias Carlisle: Right, so Pragmatic has been a research shop up to this point and so you’re launching a new fund, talk a little about that. Mark Jones: Right, exactly. Yeah, so actually, Pragmatic is now taking on its I guess its third life because initially, it started as a hedge fund. I was in business school and again, I was focused on joining a hedge fund and I found that by the time i was about to graduate, I had a really unique way of looking at the world and it had proven to be effective. Logically, you could see that okay, well if you could be more accurate than Wall Street, then you’re going to do well. Mark Jones: However, it’s great when you can see that actually start to happen and I was actually able to see first-hand while I was in school just how much information does not go into a lot of trading decisions that the market makes on a name by name basis. I don’t look at the market as this big machine. I look at the market as well, there’s a market for AMC stock, there’s a market for Weight Watchers stock, and there’s a market for all of these stocks. It’s an auction. Mark Jones: It’s like while the overall stock market is an auction house, this auction house has a bunch of rooms, and I want to go in the rooms where I can gain an information advantage on. With that I found, you know what, it’s in my best interest to, I developed a reputation within my local city, Pittsburgh, for being a great contrarian stock picker and I was coming out of a great institution, especially in Pittsburgh so with that, I was able to raise of capital from my local network to start a fund as kind of a proof of concept, beta if you will. Mark Jones: With that, I was able to successfully prove that I could pick contrarian stocks. The average stock that I selected with the fund had an improvement of 85% in one year. I had about a 93% accuracy rate and actually you know, picking these stocks. It wasn’t a situation where you had kind of two home runs and they covered the losses of 13 things that went completely wrong, right? Mark Jones: I found that if I wanted to really grow the firm, I needed to extend beyond Pittsburgh and I needed to get my name out there and while I did really well with the fund, my asset base was too low to really be sustainable, so I took a step back and I said, “Hey listen, I’ve been selling my research on the side to hedge funds that I’ve been in touch with while I was in business school for recruiting purposes.” Because they saw the value of my research and they saw it as a way to augment their underlying portfolio management process. Mark Jones: What I did was I put the fund in hibernation if you will and I launched Pragmatic Conclusions. Pragmatic Conclusions was a research business, a specialized research business and it consisted of providing three deep research reports to hedge fund subscribers each month for a subscription fee and the way I positioned this was this is a fraction of the cost of hiring a new analyst and you’re getting differentiated research. If you bring on an analyst, they’re going to follow orders that you give them but if you take my research, this is unique, and it’s fresh, and it’s novel. Mark Jones: That helped a lot and then I joined SumZero to really get the name out there more and things like that. I was able to get a lot of subscribers from people, from funds on SumZero, seeing how well research my names were. It’s not just that I was right, I was right for the right reasons. That’s really important. 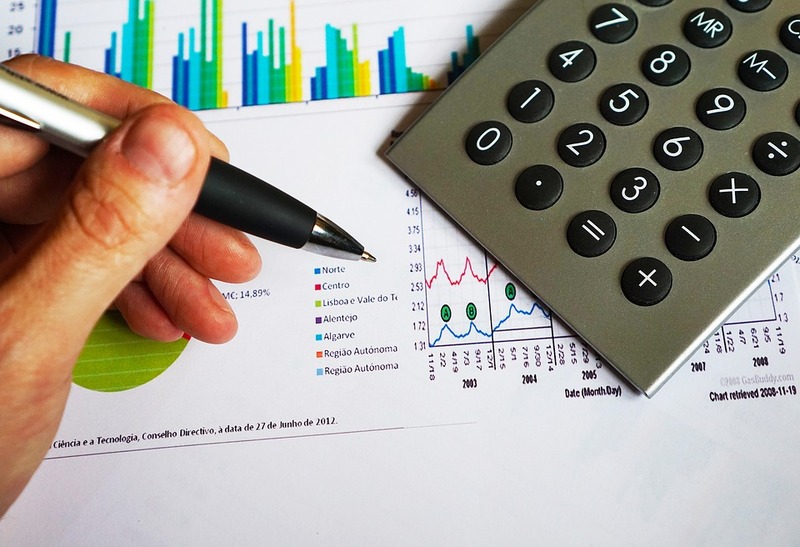 My research reports are extensive and I want you to finish reading my research reports and feel like you have an understanding of the company and the stock versus having more questions than answers. Mark Jones: With that, as my rankings improve material in SumZero, my number of subscribers materially improved as well. 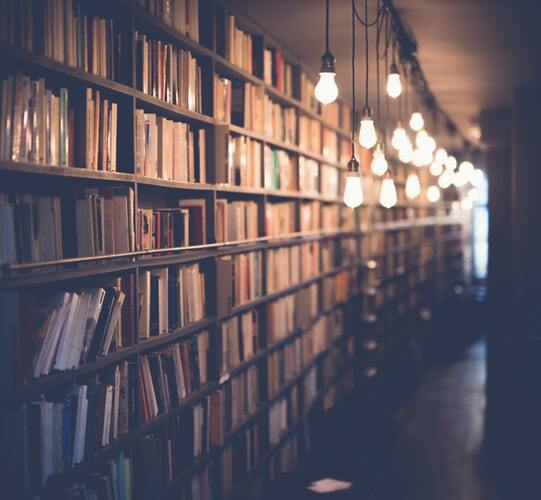 I got to a point last August where I said, “Okay, well of course I love doing research.” Running a research business is a business in and of itself and my core passion is investing. It’s research for the purposes of investing. That’s when I said, “Okay, I’ve got a name now. I’ve got more of a reputation now. 2018 is going phenomenally well for me, even though the market isn’t doing too well, it’s time to pivot and get back to raising capital so I can get back to raising the fund so I can get to where I’m going”, which I want to be one of my generation’s most successful investors and I believe that I have a unique approach to do this and it’s an approach that is evergreen. Mark Jones: Basically, meaning it doesn’t matter what the market conditions are, because my approach is idiosyncratic, it’s not systematic. If it’s systematic then you have to focus on macro and that’s a lot more difficult to understand but if it’s idiosyncratic, you’re looking at micro economics, well basic micro economic principles will always exist. If you focus on that, that’s going to be evergreen. Mark Jones: That’s what I’m focused on now, is getting the firm back to being active and just showing the world what we can do at Pragmatic. Tobias Carlisle: One of the last names that you mentioned that I just want to follow up on because it’s a, Pandora is a streaming service that I use. I love the service. I don’t know the stock that well so maybe just give us a little flavor of Pandora. Mark Jones: Right, and you know, funny thing about Pandora, I love the service as well. However, when I found the stock, I was primarily listening to Spotify because the last I remembered, Pandora was just internet radio. They didn’t have on-demand music. I found Pandora from the screen. I saw that okay, well the screen saw that revenues were increasing. It looked like a healthy business and the stock had gone down about 60-65%. This is like the sweet spot that I found. It wasn’t planned, it just happens that the average stock that I move forward with, they lost about 60-65% within one year. Mark Jones: That to me is kind of like a major signal, “Hey, look at this. The market may be right in selling off but let’s look at this.” Again, as a consumer I thought, “Oh, you know Spotify is doing great. That can’t be good for Pandora. See the stock has gone down 60-65% maybe for a reason,” but when I looked I found that well, yes there was a reason. The company started to get more focused on building their on-demand platform and they started to let their underlying ad tech capabilities fall behind and they were missing out on a lot of ad revenues that were out there because Pandora is actually an advertising business, that’s really what they are. Mark Jones: They are the largest holder of digital advertising industry in the world, audio. What I found was that this is the bread and butter for them. Not on-demand music and subscriptions and things like that and by the time I found the company, they had already recognized that, “Hey listen, we made a mistake by letting our bread and butter get a little stale while focusing on this,” because that’s the talk of the town is Spotify, and they wanted to compete there. Once I started to do the research, I found that they brought in a great, new CEO from Sling TV who was really keen on getting the ad technologies back up to par and specifically, there’s an area of ad technology by the name of Programmatic and historically, advertisers would manually purchase advertising slots via TV, radio, internet, whereas as Programmatic was a way for them to automatically purchase advertising slots and it accelerated the amount of purchases that were happening in the ad industry. Mark Jones: This market had grown to be about a billion dollar market, specifically in the digital space and Pandora had no exposure to it because they didn’t develop the technology to be able to support this. There’s just so much revenue that they were just missing out on because they weren’t supplying what their market needed. Well, they got that under control, they made an acquisition to really help get the tech up and sure enough, once the average user base number started to stabilize and they started to have other incentives for people to interact with the app so if you don’t want to pay a monthly subscription fee, if you watch a video ad, you could have the premium features for an hour. Mark Jones: Pandora would get money from that so they were accelerating the advertising revenue and sure enough what happened was the market saw that they were wrong and that Pandora started to materially beat earnings estimates because everyone was projecting that. Pandora was in a slow decline and they had an existential threat so once the company started to materially beat revenue and earnings projections, the stock went from about 450 when I found it, to a height of about 920-930. Mark Jones: Unfortunately, Sirius came in and put a bid in to buy the company, which great for them because it’s a great company and this is a great time to have Pandora. However, at that point, the stock was no longer trading based on Pandora’s underlying fundamentals and what the market expected for Pandora, it was now trading on the market’s view on Sirius, which I wasn’t interested in Sirius at all. They’re two completely different stories. Mark Jones: The underlying micro economic story was solid. You have a company that people don’t really understand the company, they don’t really understand how they make their money. They don’t really understand what are the differences, what’s their value proposition in their market? Once this company gets a handle on their value proposition and they start focusing on it, it’ll show up in the numbers and once it shows up in the numbers, the market has no choice but to correct itself, and that’s what happened with Pandora. Tobias Carlisle: That’s getting close to the time that we’ve got. I really appreciate you spending some time discussing, I think you got a fascinating approach based on some deep research in individual positions and some sort of overarching research, which is equally fascinating and the results are born out in those SumZero performance that you’re like 75% average performance of the stocks you picked in there. On a rolling last 12-month basis, you’ve been topping those rankings so congratulations on that. Tobias Carlisle: Welcome to Los Angeles, man. I’m very happy to have somebody else out here who I can chat with about this stuff. Tobias Carlisle: If people want to get in touch with you, what’s the best way to do that? Mark Jones: You can of course get in touch with me. I’m on LinkedIn, I’m on SumZero, also through the website, PragmaticCap.com. If you want to have a conversation with me, my contact information is on there. It’s definitely the best way to get in touch with me but I definitely recommend for people to get onto SumZero and see the research for themselves. I’ve got a lot of the research on the website as well but I think that the research itself, it speaks for itself. I hope that going forward what we both can do is continue to offer a unique perspective on investing. Mark Jones: I think that instead of focusing on if you like this business or don’t like the business, let’s just focus on the numbers and say, “Well, what is the market expecting and what will the market pay if this happens? If that happens?” Kind of base it on that. I’m looking forward to kind of starting a new narrative on investing and helping people to find their unique approach to really shine as investors. Tobias Carlisle: Yeah, I couldn’t agree more and I can’t wait to see what you do. Mark Jones of Pragmatic Capital, thank you very much. Mark Jones: Thank you for having me. Take care. Biogen and Idec merged in 2003, combining forces to market Biogen’s multiple sclerosis drug Avonex and Idec’s cancer drug Rituxan. Today, Rituxan and next-generation antibody Gazyva are marketed via a collaboration with Roche. Biogen also markets novel MS drugs Tysabri and Tecfidera. In Japan, Biogen’s MS portfolio is co-promoted by Eisai. Hemophilia therapies Eloctate and Alprolix (partnered with SOBI) were spun off as part of Bioverativ in 2017. Biogen has several drug candidates in phase 3 trials in neurology and neurodegenerative diseases and has launched Spinraza with partner Ionis. A quick look at the price chart below for Biogen shows us that the stock is down 19% in the past twelve months. We currently have the stock trading on an Acquirer’s Multiple of 7.07 which means that it remains undervalued. 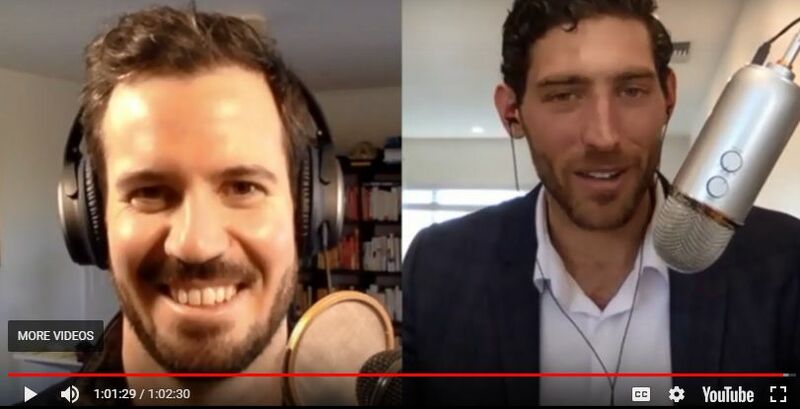 Corey: Yeah, I think it sounds wonderful and flowery and intuitive to say, “Hey, I want the economic rationale, why would I invest in something without the economic rationale?” But I think the counter to fooled by randomness is fooled by narrative, right? If I discover an anomaly and then come up with a rationale as to why that anomaly works, am I just fooling myself into believing that narrative? If I come up with narrative and then data-mine the facts to fit that narrative, am I any better off necessarily? 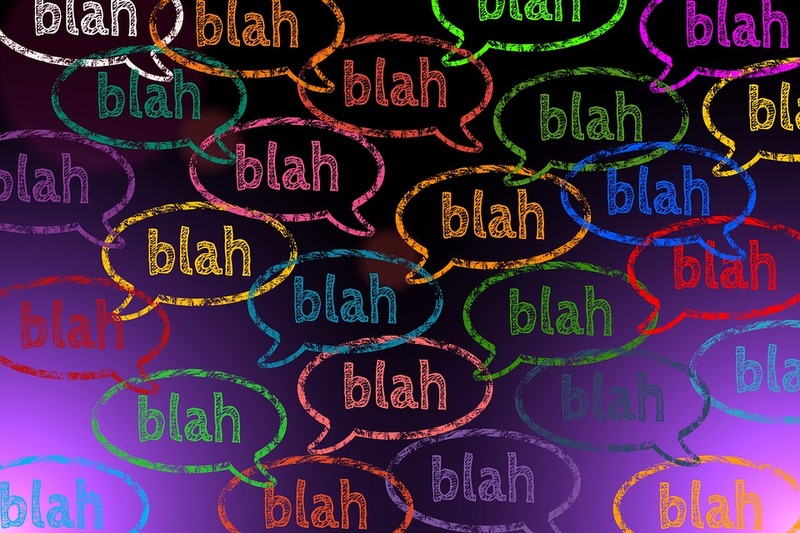 So I think it is one of these things, as a quant we always try to say, “Hey we’re evidence-based.” The real truth is, the amount of evidence we have at our hands is very, very limited. Financial markets, there’s really just a few driving forces, we’ve only seen a few big regime shifts over the last 50 years, and arguably some of those regime shifts make prior data totally worthless. I mean, is anything prior to World War Two really relevant? The advancements we’ve seen in technology and access to information and our education about financial markets really raises the question of, is some data and some anomaly that works back in 1910, is that relevant? We tell ourselves, yes and we’re looking for this robustness across countries and geographies and asset classes and history, and I do think that is a good start, but I think it’s always good to keep in the back of our mind, everyone’s looking at the same data, everyone’s looking at the same anomalies, yeah that does help with the robustness conclusion, and hopefully there is some economic or behavioral risk-based intuition to whatever we’re trying to harvest. But at the end of the day, it is a limited data set that we keep going back to and trying to mine, and we do run the risk of at a certain point, just data-mining it to death. Unsuccessful investors are dominated by emotion. Rather than responding coolly and rationally to market fluctuations, they respond emotionally with greed and fear. We all know people who act responsibly and deliberately most of the time but go berserk when investing money. It may take them many months, even years, of hard work and disciplined saving to accumulate the money but only a few minutes to invest it. The same people would read several consumer publications and visit numerous stores before purchasing a stereo or camera yet spend little or no time investigating the stock they just heard about from a friend. Rationality that is applied to the purchase of electronic or photographic equipment is absent when it comes to investing. 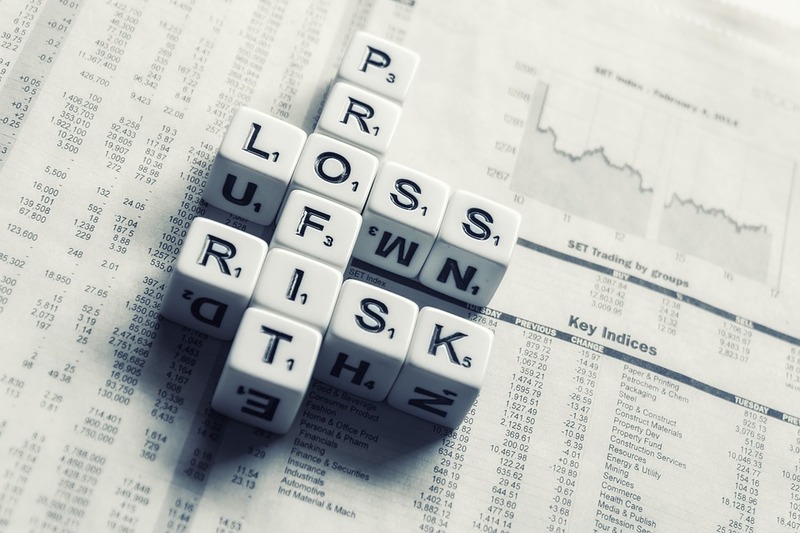 Many unsuccessful investors regard the stock market as a way to make money without working rather than as a way to invest capital in order to earn a decent return. Anyone would enjoy a quick and easy profit, and the prospect of an effortless gain incites greed in investors. Greed leads many investors to seek shortcuts to investment success. Rather than allowing returns to compound over time, they attempt to turn quick profits by acting on hot tips. They do not stop to consider how the tipster could possibly be in possession of valuable information that is not illegally obtained or why, if it is so valuable, it is being made available to them. Greed also manifests itself as undue optimism or, more subtly, as complacency in the face of bad news. 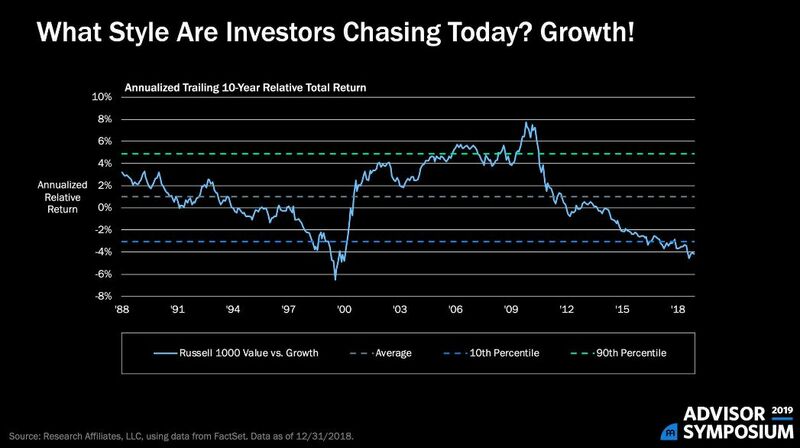 Finally greed can cause investors to shift their focus away from the achievement of long-term investment goals in favor of short-term speculation. High levels of greed sometimes cause new-era thinking to be introduced by market participants to justify buying or holding overvalued securities. Reasons are given as to why this time is different from anything that came before. 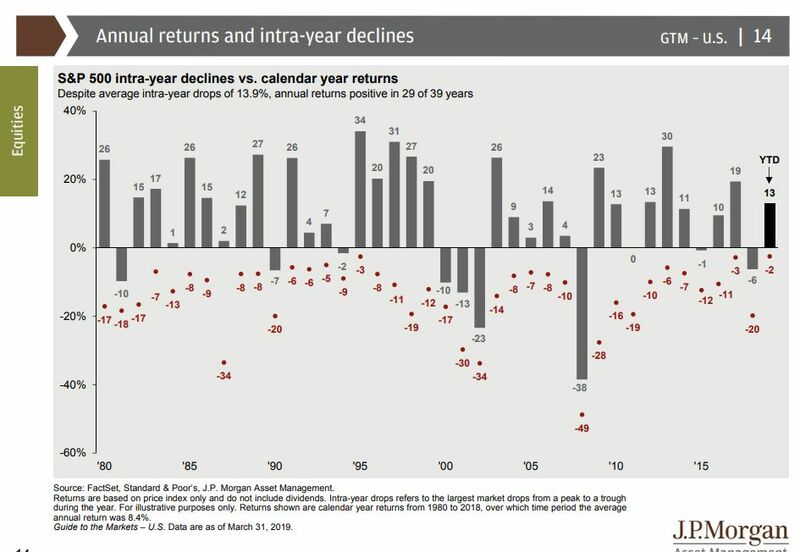 As the truth is stretched, investor behavior is carried to an extreme. Conservative assumptions are revisited and revised in order to justify ever higher prices, and a mania can ensue. In the short run resisting the mania is not only psychologically but also financially difficult as the participants make a lot of money, at least on paper. Then, predictably, the mania reaches a peak, is recognized for what it is, reverses course, and turns into a selling panic. Greed gives way to fear, and investor losses can be enormous.